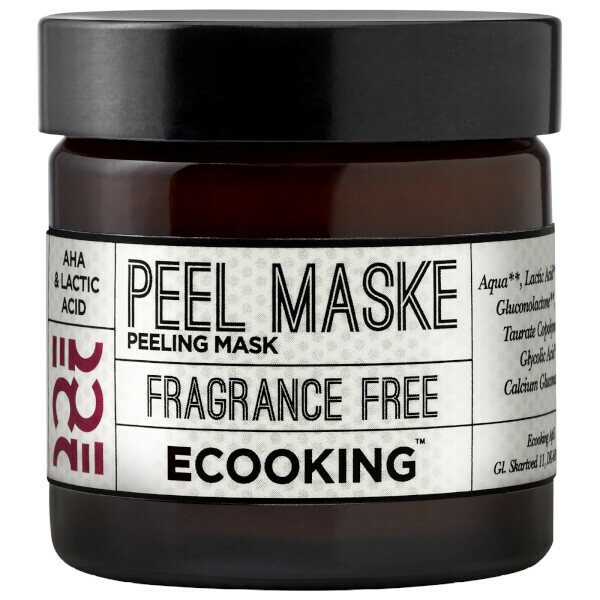 Maintain skin's youthful vitality with the Peeling Mask from Danish skincare brand, Ecooking. Utilising Alpha Hydroxy Acids, including Lactic, Salicylic and Glycolic, the weekly treatment expertly eliminates dead, dull skin to unveil a smooth and radiant visage. Natural plant extracts and antioxidant Vitamin E work in tandem to deliver firming and anti-ageing benefits; they help to minimise the appearance of lines and wrinkles, whilst tightening skin and enhancing luminosity. The miracle mask will leave skin feeling softer and more refined with a healthy glow. Use once a week. Start by using the mask for 4-6 minutes depending on skin type. Extend the time slowly and end up using the mask for approximately 10-12 minutes at a time. Cleanse the skin and add the mask in an even layer, and let the product work on the skin. It will prickle and pinch and the skin will become red afterwards - for that reason, the best time to use the mask is before bedtime. 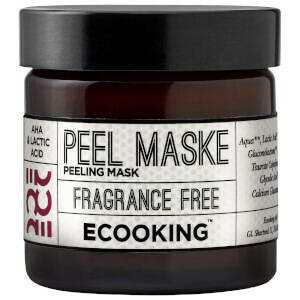 Remains of the mask can be removed by rubbing. This does not mean that the skin is peeling. Please Note: Do not use the mask before going into the sun. Aqua**, Lactic Acid**, Potassium Hydroxide, Squalane, Polysorbate 60, Gluconolactone**, Hydroxyethyl Acrylate/Sodium Acryloyldimethyl Taurate Copolymer, Sodium Dehydroacetate**, Salicylic Acid**, Glycolic Acid**, Sodium Benzoate*, Potassium Sorbate*, Calcium Gluconate, Citric Acid*.